Kathleen Payea is one of the nation’s experts in postsecondary education research. Her work focuses on postsecondary education policy and research, especially the success of veteran and other students, including issues of access, success, and their financing of postsecondary education. 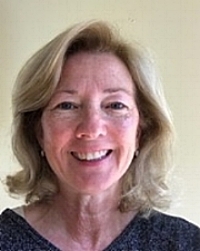 Kathleen most recently worked for The College Board for 25 years as Senior Policy Analyst and Associate Director of the Financial Aid Services division. She co-authored the annual Trends in Higher Education series: Trends in College Pricing, Trends in Student Aid, and Education Pays. In addition, her research includes reports and publications on college pricing, how families pay for college, postsecondary enrollment and access, and the implications of federal or methodological policy changes. Kathleen began her career in student services areas (financial aid and admissions), as well as institutional research in varied regional, size, and student background settings. She completed her bachelor’s degree in educational psychology at the State University of New York, Plattsburgh.